It’s hard to pick a favourite part of Tasmania. However if someone told me that I had to make a decision, lest I be strapped to a chair and forced to watch Neighbours for the rest of eternity (yes, this is my version of hell), I’d probably pick the north-west. How could I not, when it’s home to natural splendours like Mount Roland and Cradle Mountain, towns as beautiful as Sheffield and delightfully named areas like “Nowhere Else” and the “Promised Land”? 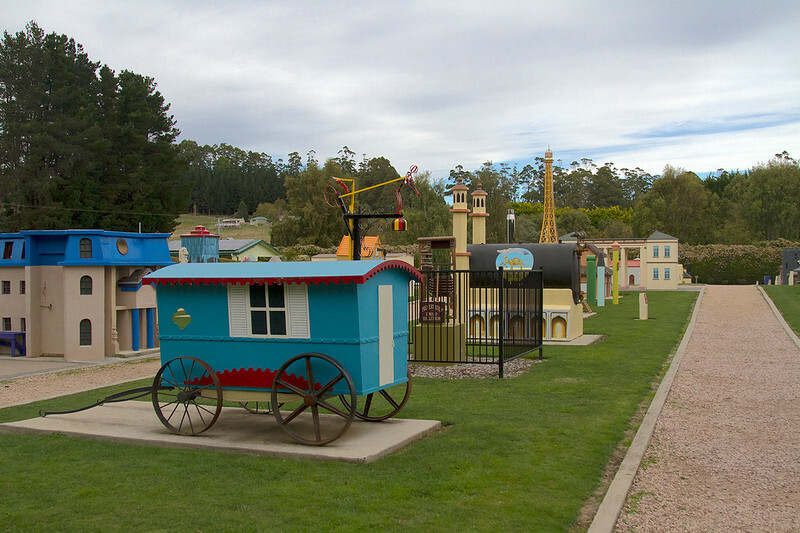 In fact, if you drive through the Promised Land, you’ll end up in the tiniest town in Tasmania: Lower Crackpot. 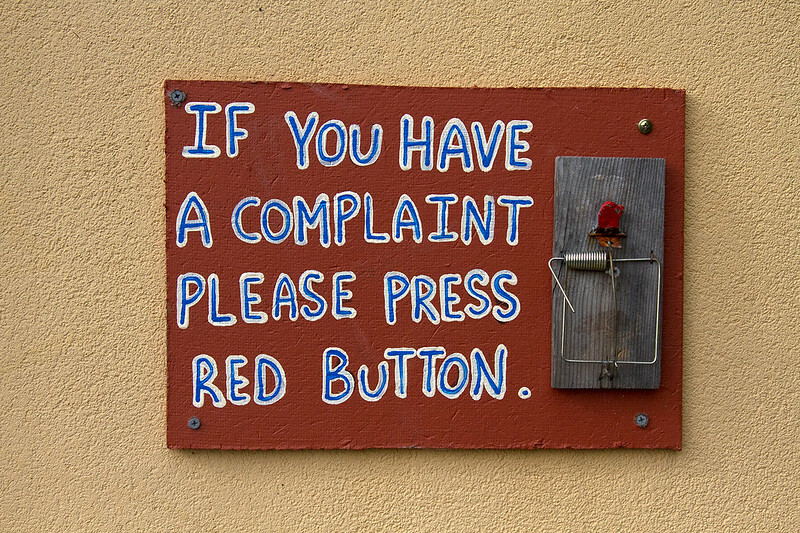 The sign welcoming you to Lower Crackpot – sad that some people have to be reminded of this fact. Yet, Lower Crackpot is not the kind of place you can just waltz into. No, to enter you need to be armed with great wit and courage, be mentally prepared to battle dragons and solve riddles delivered by a gigantic Sphinx – actually, I may be getting real life mixed up with the Potterverse again. It’s not the first time – it won’t be the last. Regardless, Tasmazia is well worth a visit with the whole family… or even for big kids sailing solo like myself. At its time of planting, Tasmazia was to be the largest maze in the world (now the Dole Plantation’s Pineapple Garden Maze in Hawaii wears that crown). It remains the largest maze complex across the globe, so that’s something at least. I first visited a million six years ago (it seems longer) with a Tasmanian ex, who lured me there with the promise of decent pancakes in the adjoining cafe. I believe his exact words were “the best damn pancakes you’ll ever eat in your life”. He wasn’t wrong. (Six years on, the cafeteria now features a self-styled menu – no more pancakes but lots of other delicious meals are on offer). 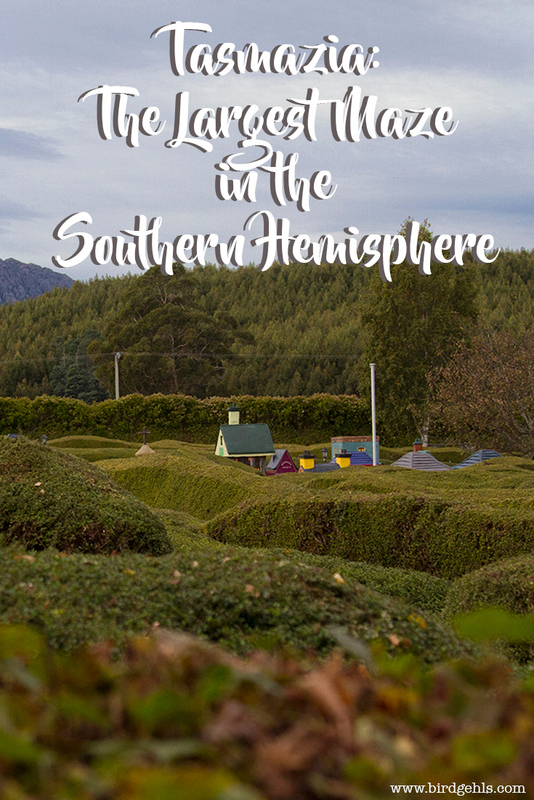 I enjoyed the maze a lot, but hadn’t planned on making a return trip to visit the last time I was in Australia’s southern state. However, I was in the area, I had plenty of time to kill before I had hoped to be at Launceston and… well, I was hungry. 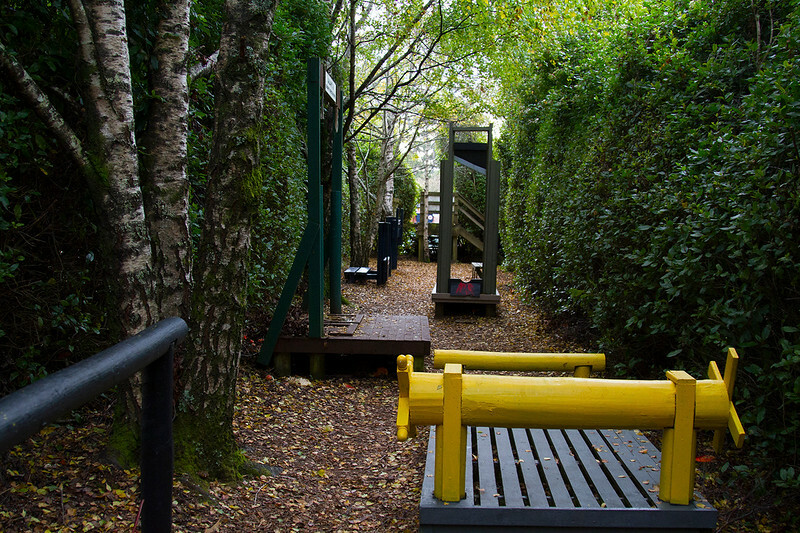 The Balance Maze – that’s Lower Crackpot you can see at the end! I figured I’d head to the maze, grab some grub and then drive on from there, fed and rested. Yet when I got there (at 9.30 in the morning) the cafe was still half an hour away from opening. 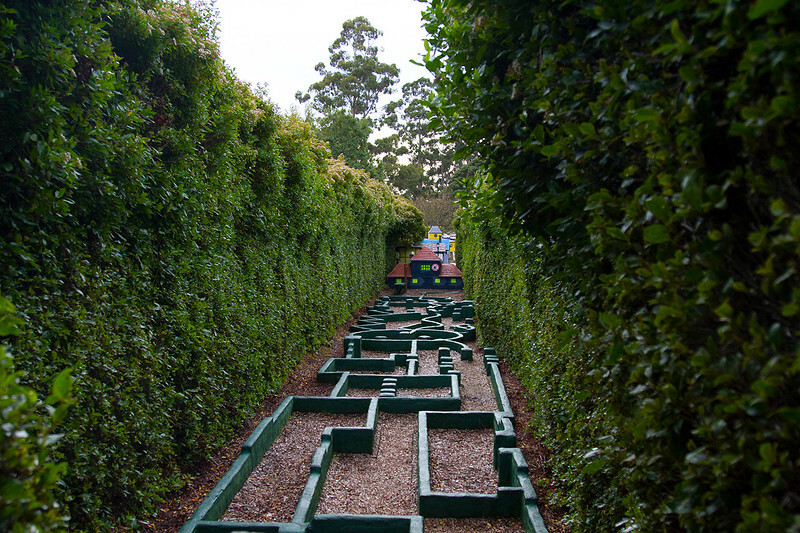 I could sit around in the cold of the early morning waiting for it to do so… or I could re-enter the maze. “Urgh, fine,” I said and paid the $25 entry fee, after having a lengthy chat with the lady in the gift store. Tasmanians are some of the friendliest people you’ll ever meet, in case you were wondering. And I’m so glad I did go in. Being there that early on a Friday morning meant I had the entire maze to myself for an hour – yep that’s right, no screaming children to be heard or seen anywhere. Spotting my first Green Rosella. This meant I could wander around to my heart’s content, snapping photos and as it turned out, fitting in a spot of bird-watching. 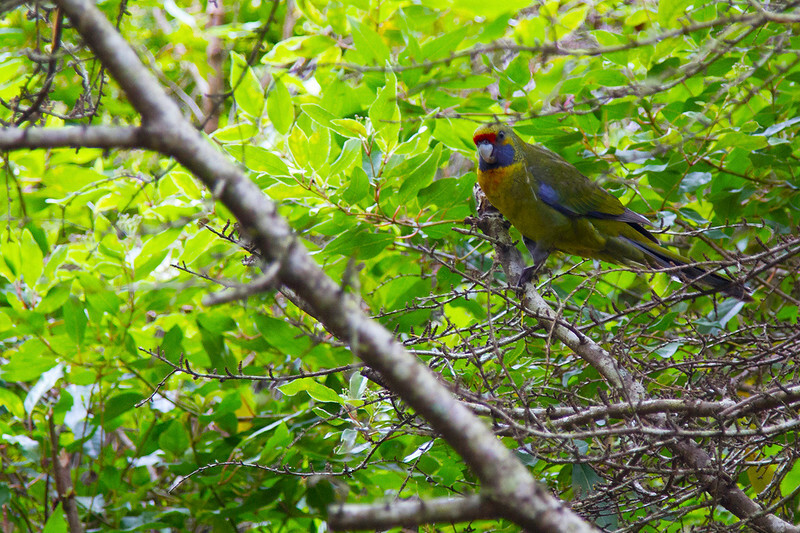 I sighted my first two Green Rosellas, which are endemic to Tasmania. There are six species of rosella and I have now seen half of them in the wild, hooray! It’s a wee little bit of a journey to get to the township, as you stumble your way around the Great Maze. There are signs littered here, there and everywhere, featuring a high level of corn that possibly wouldn’t work in any other setting. 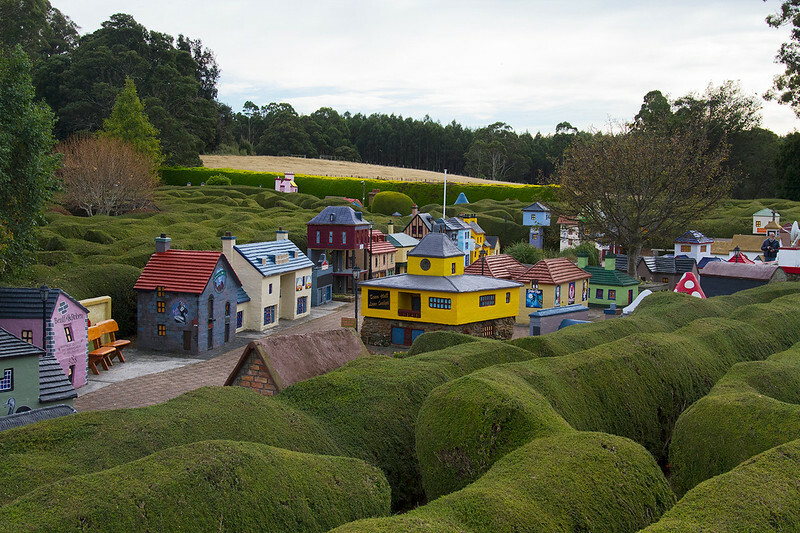 Within the maze complex there are three attractions besides Lower Crackpot – along with the Embassy Gradens which we’ll get to in a sec, there is Cubby Town where you can let your children run wild and the Correctional Centre, where you can lock them up while you yourself go have a calming cup of tea. In summary, there’s plenty to see and do, which will easily keep you entertained for hours. 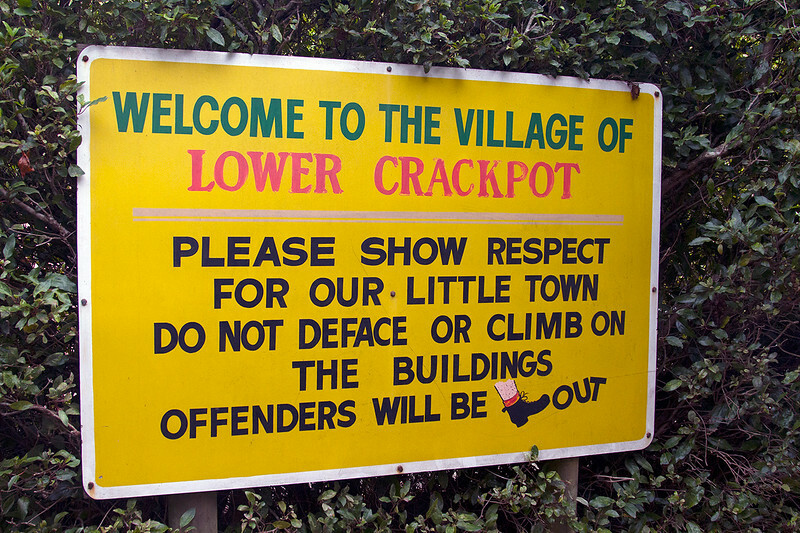 And here we enter the Village of Lower Crackpot! 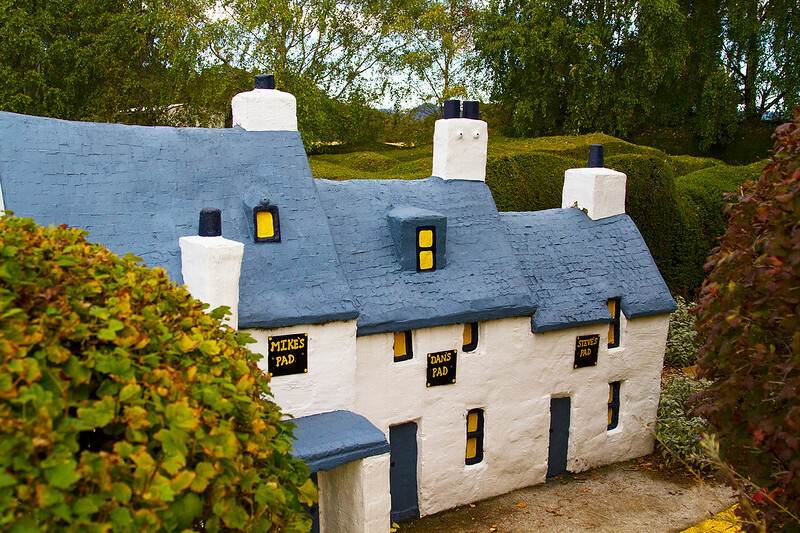 The town is a replica of any other village, built 1/5th to scale. 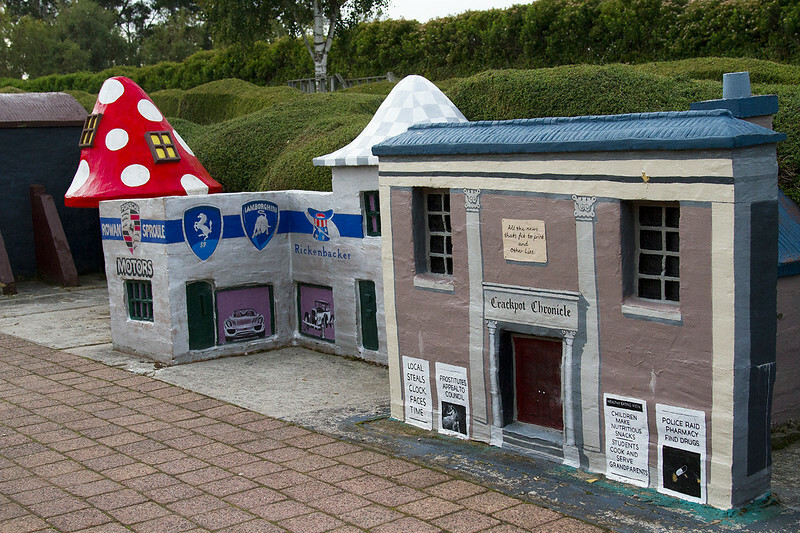 Many of the buildings pay homage to Aussie history and culture. 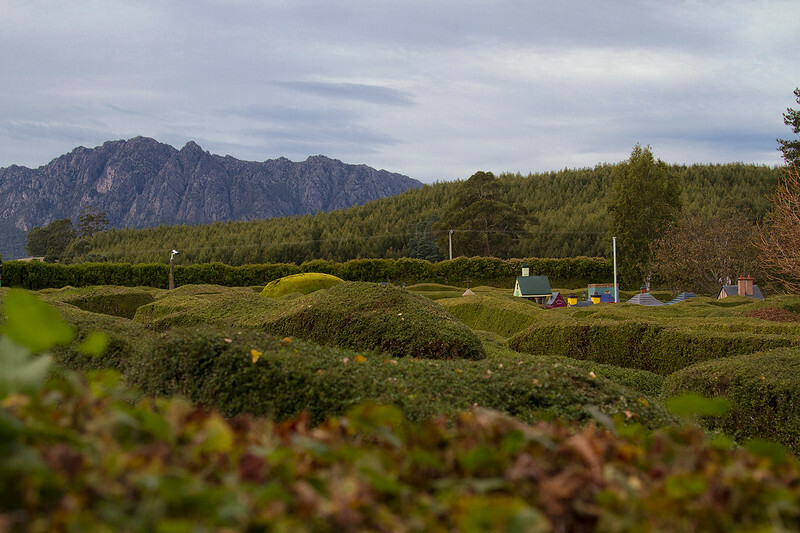 The maze with Mount Roland in the distance. Just some of the buildings which line the streets. 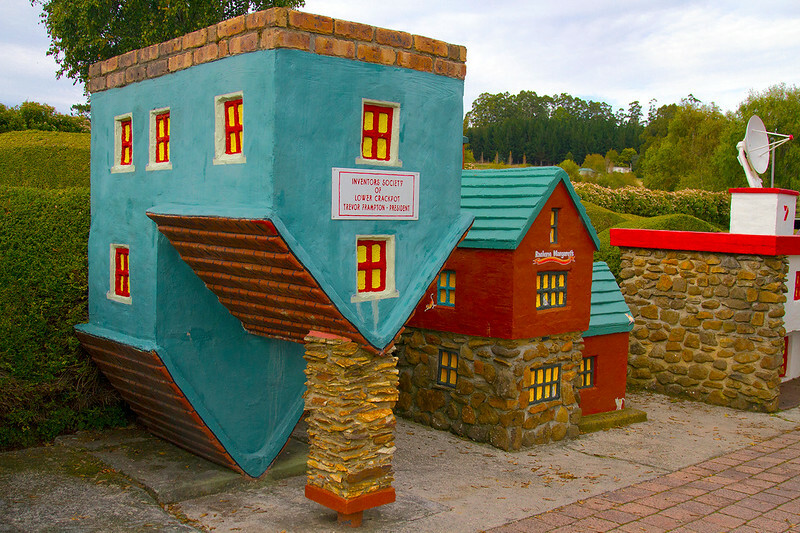 The upside down house is my favourite. 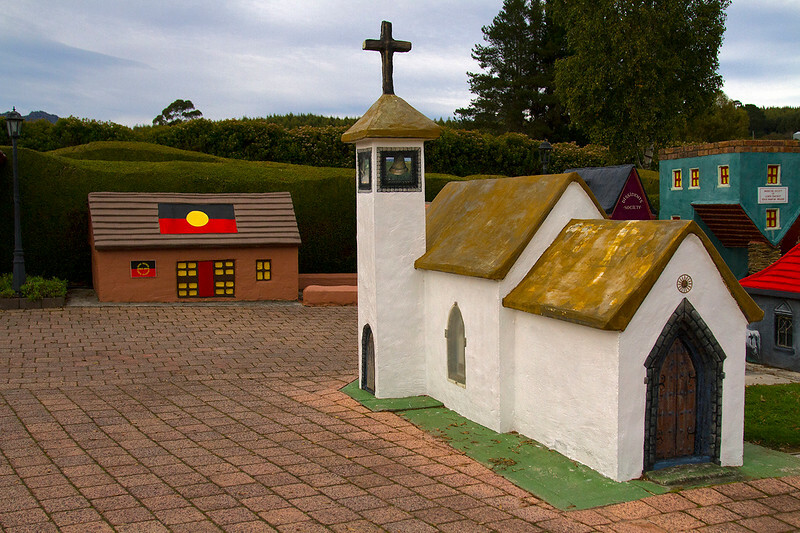 The town church, along with a nod to Australia’s Indigenous population. 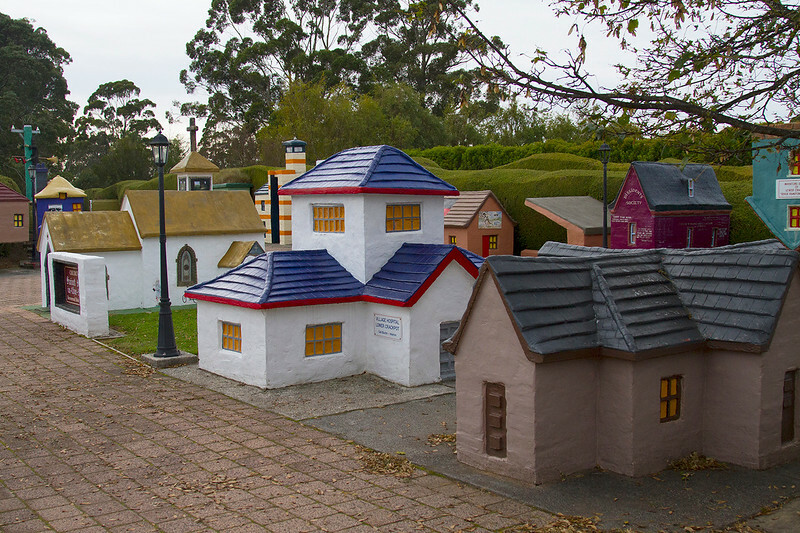 And there’s even more to be seen along the aforementioned Yellow Brick Road, which leads to the Village Green. Some of the buildings near the Green. 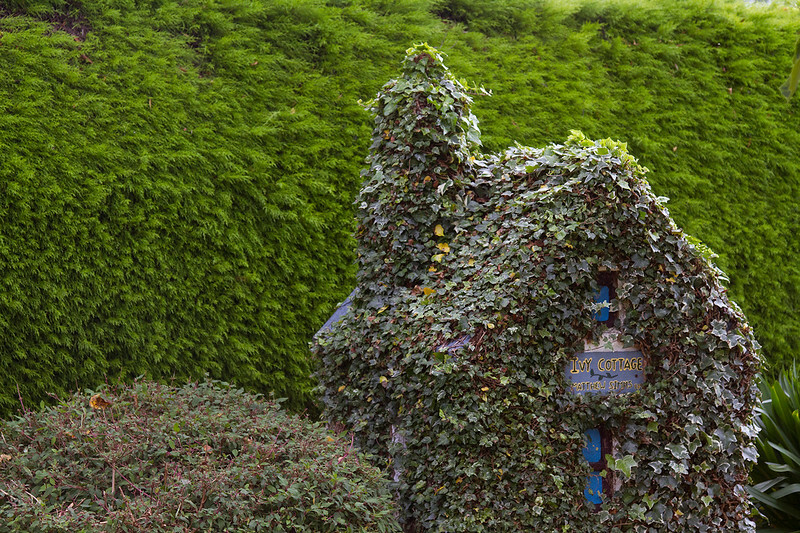 The very literal Ivy Cottage. When I visited the Maze all those years ago, Lower Crackpot marked the end of the road. 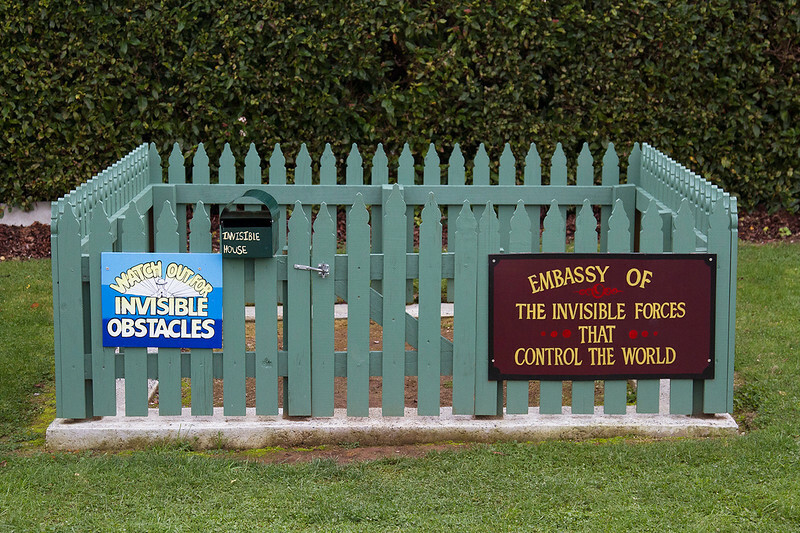 Yet, there is a whole new addition now – in the form of the Embassy Gardens. 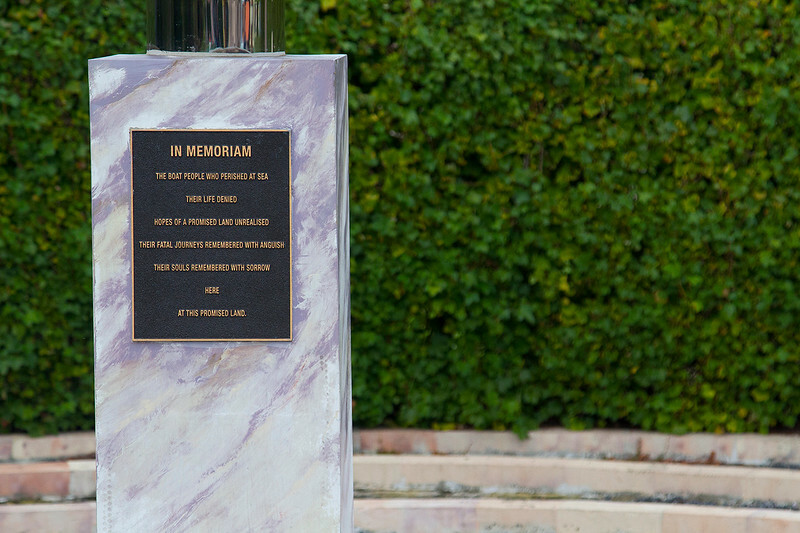 A really touching memorial to those who have tried and failed to carve out a better life for themselves in Australia. A couple of really obvious embassies. And with your time in the maze completed, you can go get some delicious food, or buy a couple of postcards to mail from Lower Crackpot! Like most of the attractions in Australia, you’ll need a car to reach Tasmazia. 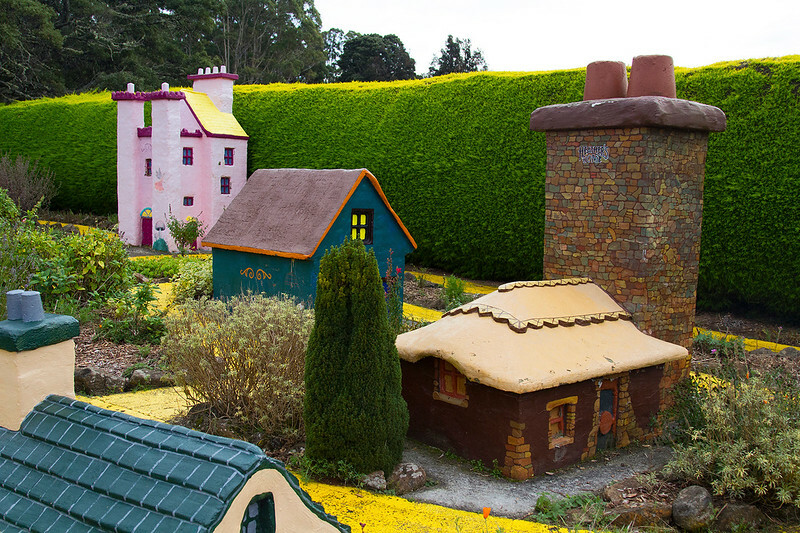 The maze complex is around a 40 minute drive from the town of Devonport and 1.5 from Launceston. Give yourself plenty of time to get there – the surrounding area is so beautiful, you might find yourself stopping a lot along the way to breathe it all in. I love the pun on the attraction’s name! 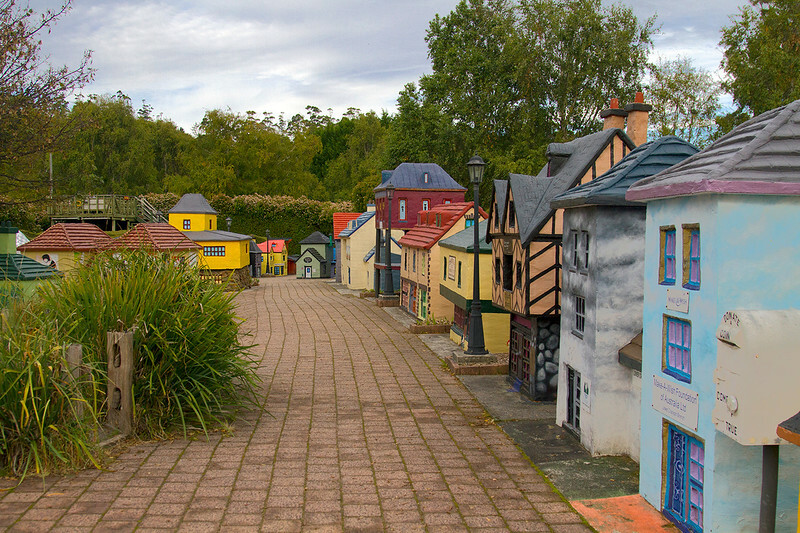 Lower Crackpot looks like a cute and humorous model village – it kind of reminds me of the Mini Europe part of Legoland, which I visited years ago. It’s been years since I went in a maze of any sort, though when I was younger I remember doing a lot of mazes (some hedge, some maize) in the grounds of French châteaux on holidays. Entertainment for all the ages! 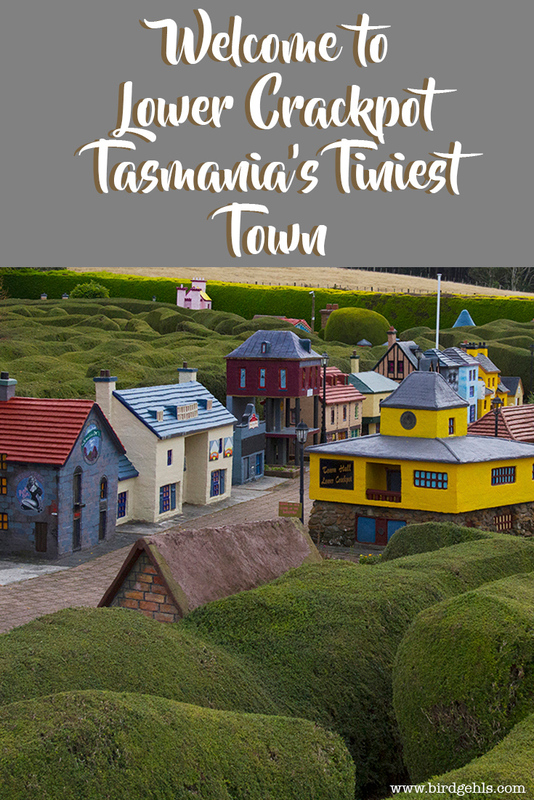 Haha yeah it’s such a kooky part of Tassie (and the name is the best!). I like them a lot – bit bummed out I never made it to Hampton Court now. Maybe in the future. 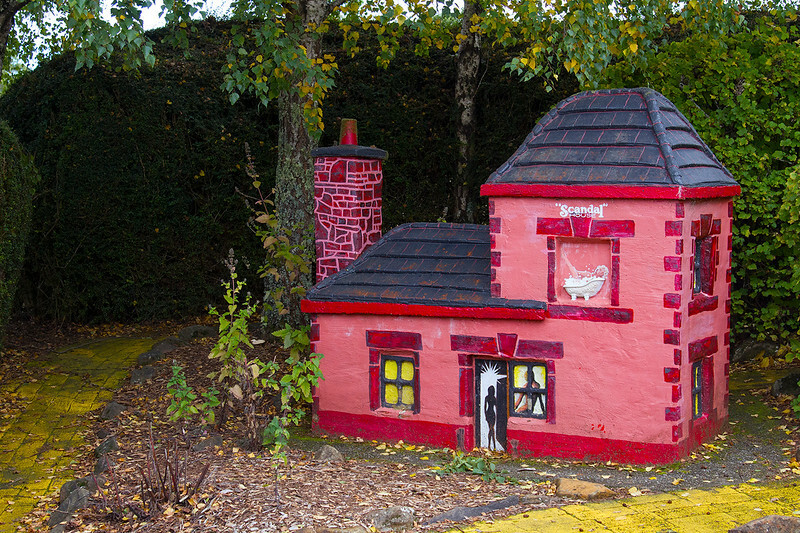 Would still love to go to Legoland one day, haha. They just opened one in Melbourne, so we’ll see. Haha yeah that should be appreciated above all else! hahahaha, I really love your style of writing and I share your vision of hell! Neighbours forever reminds me of terrible family Christmas lunches where it was a perpetual war on if Neighbours was allowed to be on the television (it clearly wasn’t). Will definitely try to make it here if I ever end up in Tasmania! Thanks Eliza! Yeah, especially modern Neighbours. It was on the telly the other day and I didn’t realise that was what I was watching until Dr Karl made an inevitable appearance. This place looks really interesting. I would love to visit it some day. 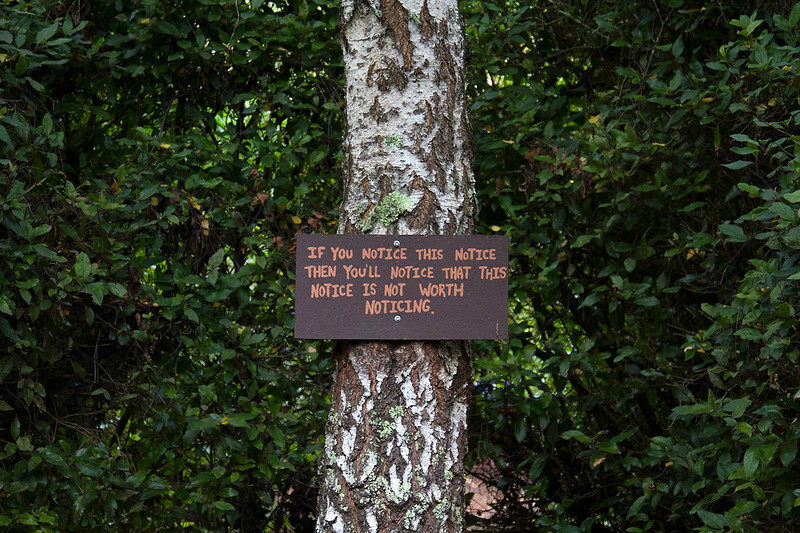 I loved the notice about the notice which was not worth noticing… Oh the pun of it all! I think the town certainly lives up to its name. That being said I would absolutely love to visit it! Haha there’s some crazy signs littered around the maze! This looks like such a fun place! As a kid at heart, I think I would have way too much fun here 😛 How long would you recommend for a visit? And tell me more about those pancakes…. I think a couple of hours would suffice. I wasn’t entirely sure if the pancakes were still a thing! They had some on offer but not as many flavours as I remembered. I did have some delicious soup though, so was quite happy. This whole place has such an Alice in Wonderland-esque vibe to it, especially the signs! 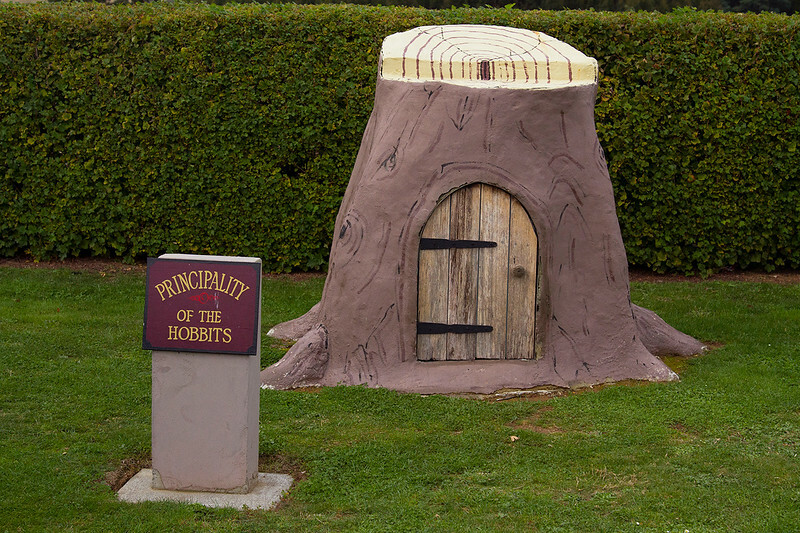 The Embassy Gardens is my favourite bit, especially the Principality of the Hobbits, which probably caused me to laugh a lot more than I should. Haha I thought of you when I put that photo in the post! Tasmazia seems breathtaking! I’d love to go there soon! Your pictures are jaw-dropping! Definitely get there as soon as you can! Local contacts! An ex of mine is from Tasmania and he took me there years ago. It’s great!